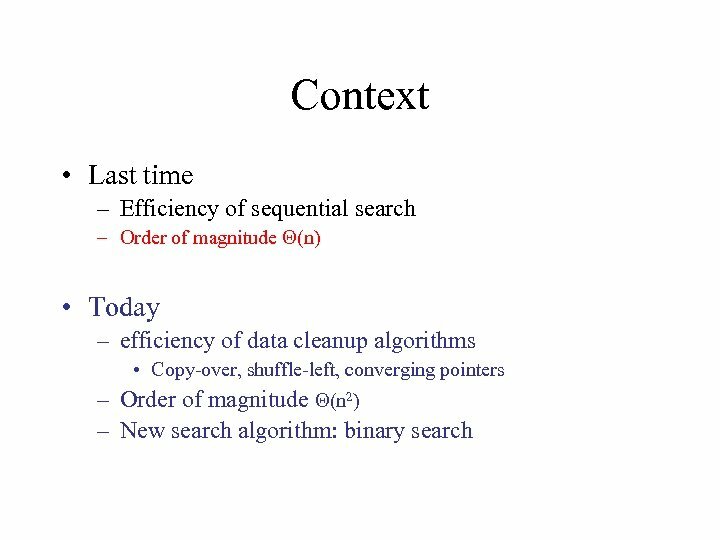 Order of Magnitude • Worst-case of sequential search: – 3 n+5 comparisons – Are these constants accurate? 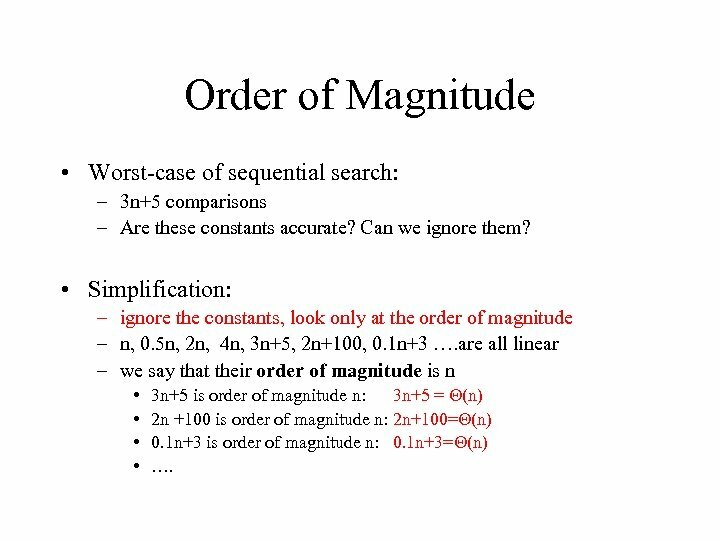 Can we ignore them? 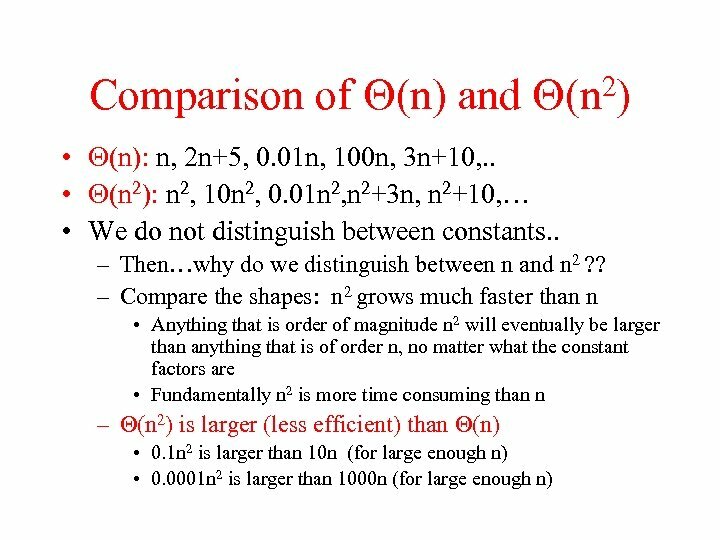 • Simplification: – ignore the constants, look only at the order of magnitude – n, 0. 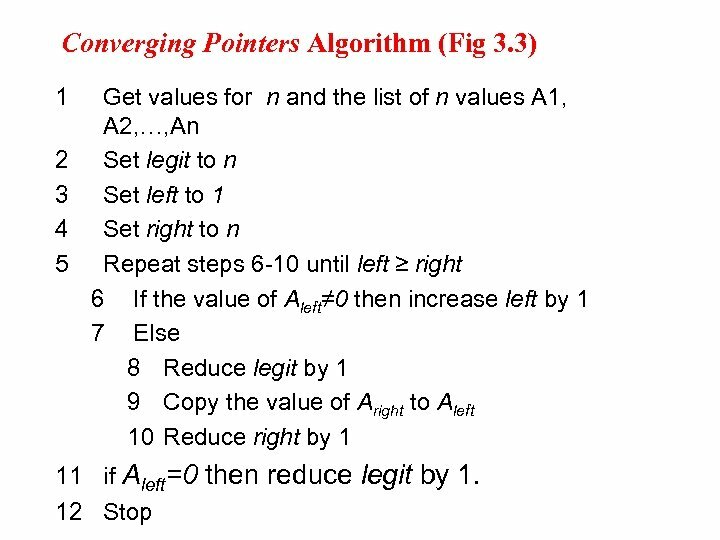 5 n, 2 n, 4 n, 3 n+5, 2 n+100, 0. 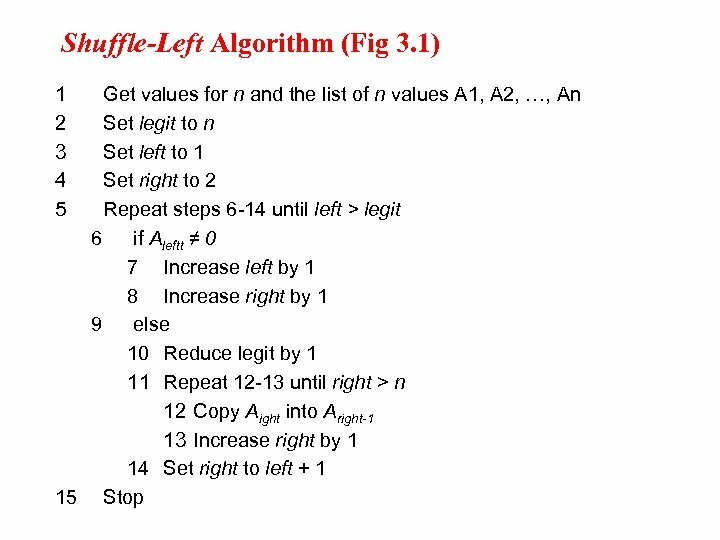 1 n+3 …. 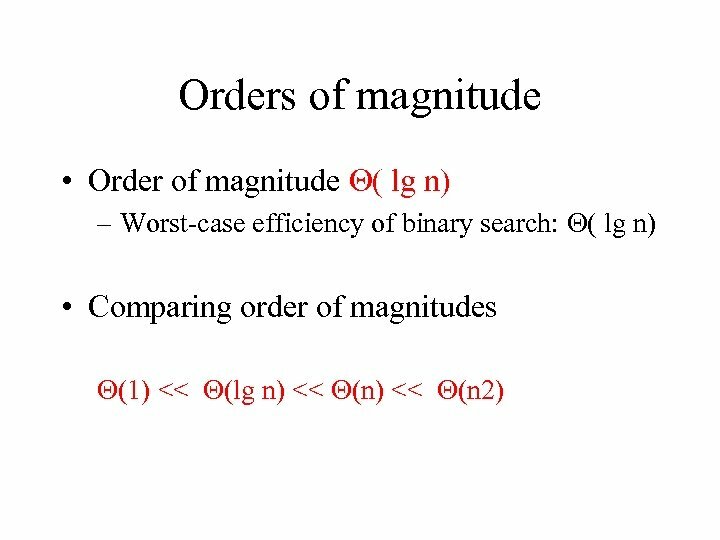 are all linear – we say that their order of magnitude is n • • 3 n+5 is order of magnitude n: 3 n+5 = (n) 2 n +100 is order of magnitude n: 2 n+100= (n) 0. 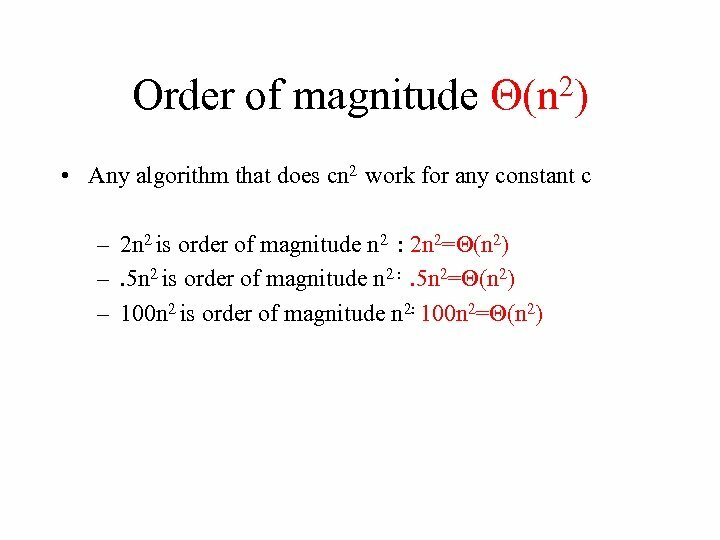 1 n+3 is order of magnitude n: 0. 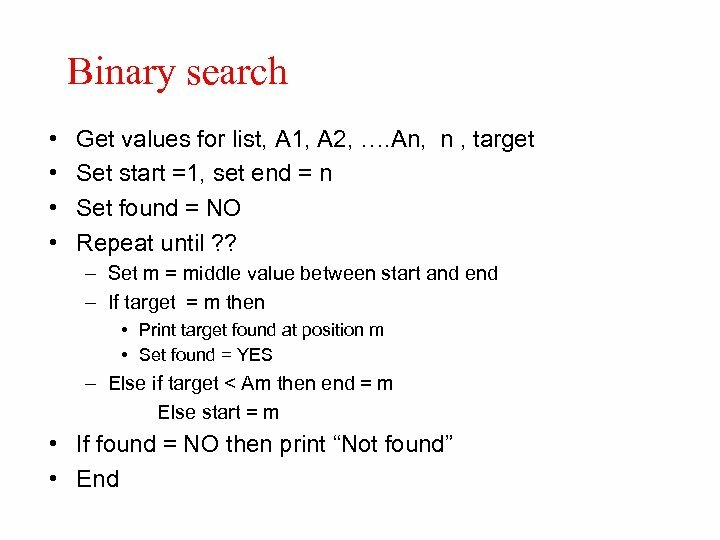 1 n+3= (n) …. 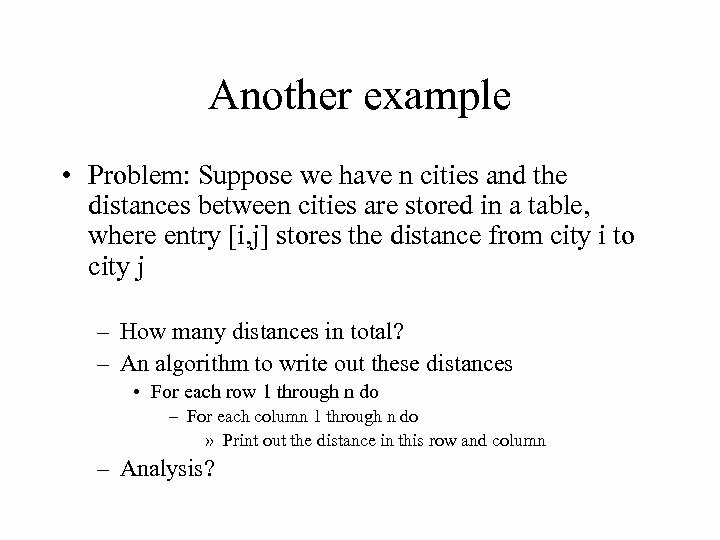 Another example • Problem: Suppose we have n cities and the distances between cities are stored in a table, where entry [i, j] stores the distance from city i to city j – How many distances in total? 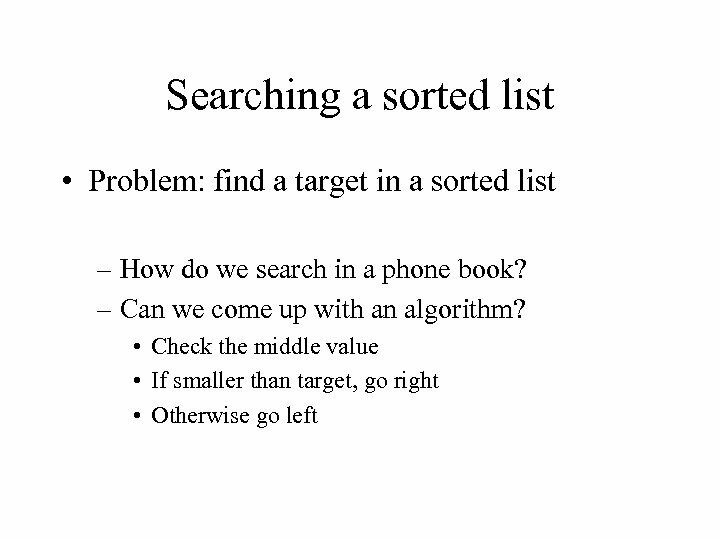 – An algorithm to write out these distances • For each row 1 through n do – For each column 1 through n do » Print out the distance in this row and column – Analysis? 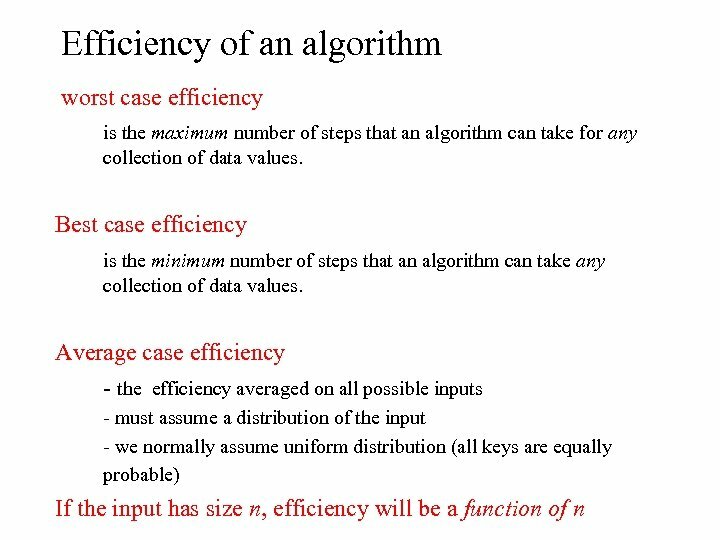 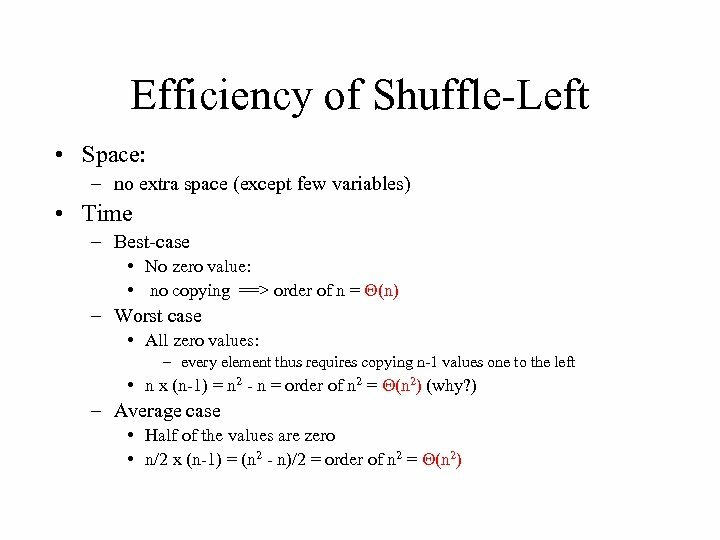 The Tortoise and the Hare Does algorithm efficiency matter? ? 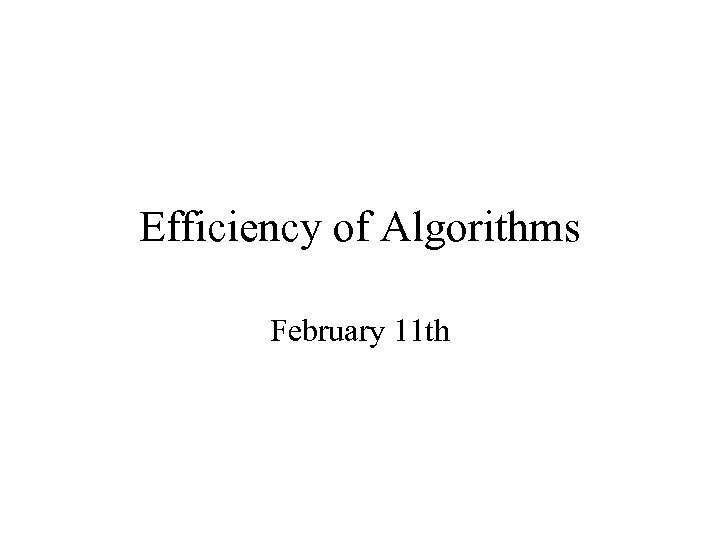 – …just buy a faster machine! 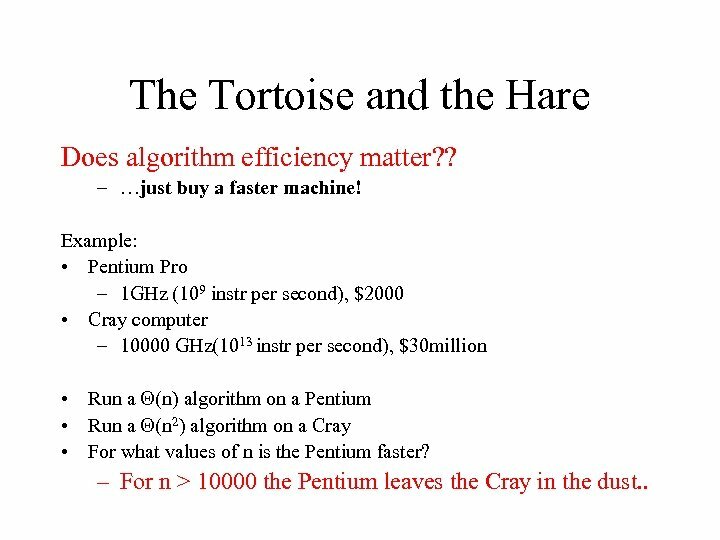 Example: • Pentium Pro – 1 GHz (109 instr per second), $2000 • Cray computer – 10000 GHz(1013 instr per second), $30 million • Run a (n) algorithm on a Pentium • Run a (n 2) algorithm on a Cray • For what values of n is the Pentium faster? 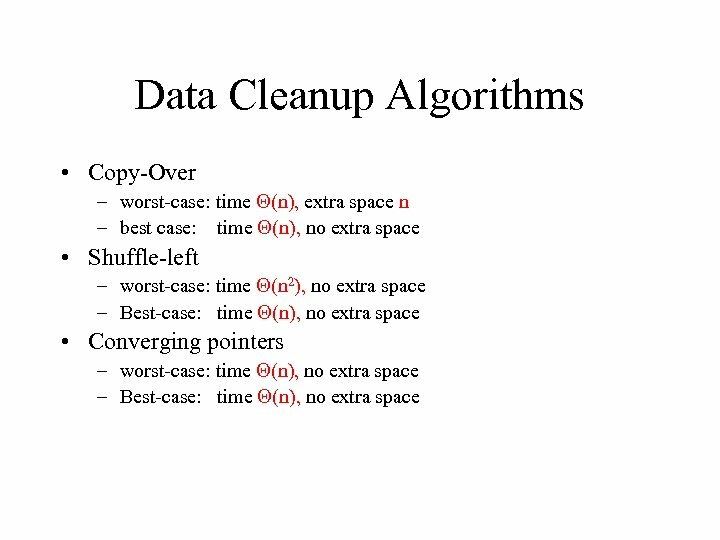 – For n > 10000 the Pentium leaves the Cray in the dust. . 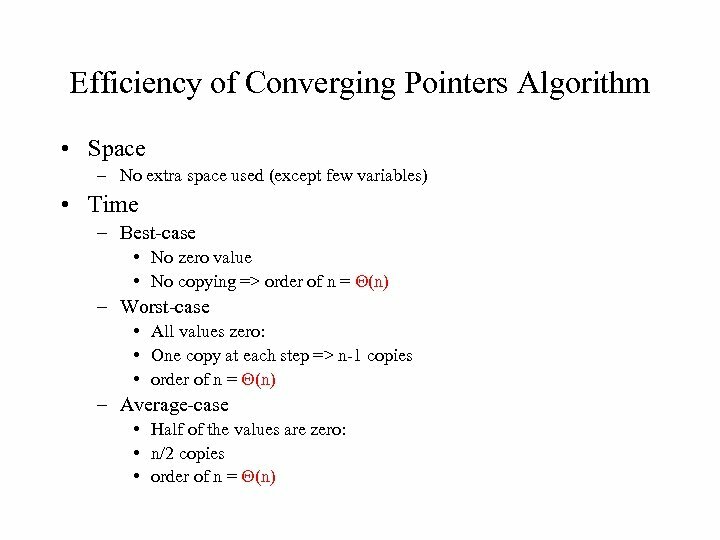 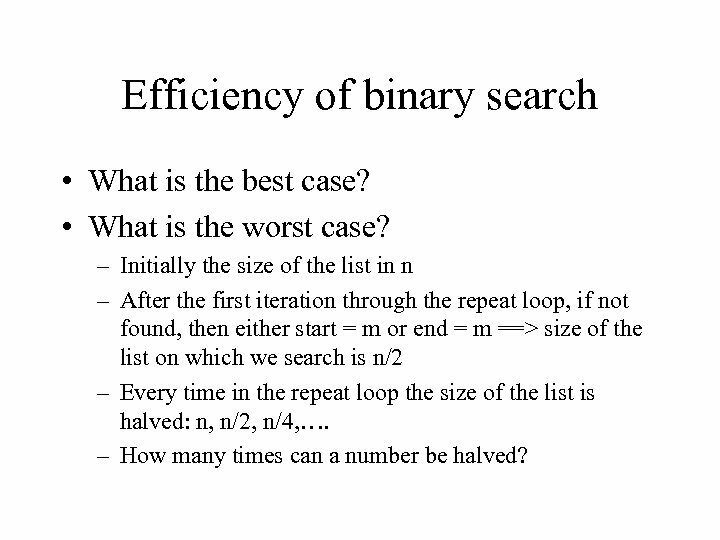 Efficiency of binary search • What is the best case? 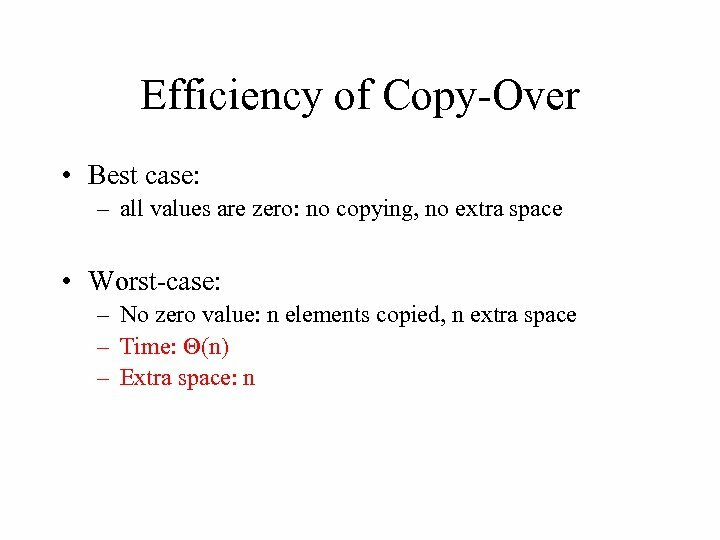 • What is the worst case? 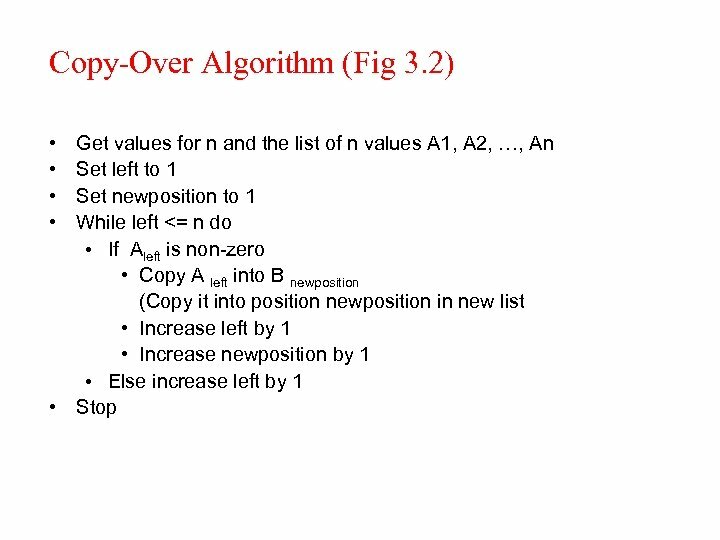 – Initially the size of the list in n – After the first iteration through the repeat loop, if not found, then either start = m or end = m ==> size of the list on which we search is n/2 – Every time in the repeat loop the size of the list is halved: n, n/2, n/4, …. 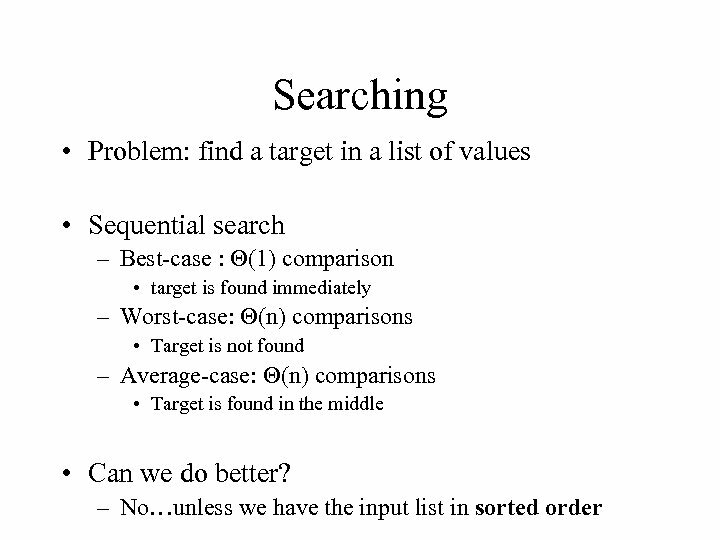 – How many times can a number be halved?